Good news for all fans of furries and dress up games! Here is a brand new furries avatar creator! Now you can make your own anime character. These furries are so different in our furry maker. They can have nose or beak, and sure there are a lot of clothes so you can dress them however you like! Do you like anime dress up games or dolls makeovers? Were you dreaming of anime furry creator or furry maker? Then you will like this dressing game. Here you can create anthropomorphic avatar and to became a real furry! You can modify your character’s eyes, mouth, and color of the skin or fur. 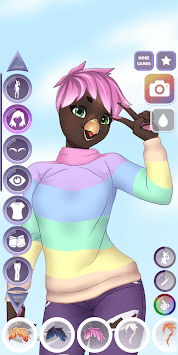 Add wings and dress up your anime character in all sorts of outfits in this furries avatar creator! Fashion salon for furries is at your disposal! 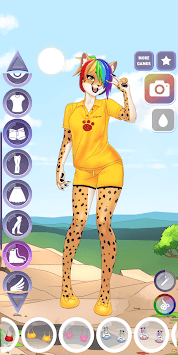 If you like this furries avatar creator and want more, we have other similar anime dress up games and makeovers. Just press the «More by Anime Dress Up Games» link and play high quality avatar creator and anime makeover games!